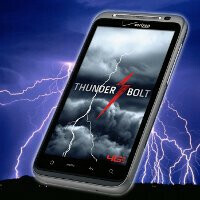 Long ago, well, earlier in the year to be more specific, the HTC ThunderBolt screamed onto the scene bringing forth Verizon’s newly established 4G LTE network to the masses – and what a great feeling that was! Since then, the now perceived mid-range smartphone ended up getting its dose of Gingerbread, but we bet that there are owners out there dreaming about Ice Cream Sandwich. Well, they can probably continue to dream seeing that there are no exact details about that possibility, but in the meantime, it’s getting some love in the form of a future maintenance update. Of course, it’s not going to be considered as a substantial thing, though, it’s nonetheless something to look forward to. Specifically, the anticipated 36MB update will bring the smartphone’s build number to 2.11.605.9. There might not be a whole lot of new features along for the ride, rather, it appears to mostly consist of bug fixes and enhancements, which are the common things we tend to find with most maintenance updates. Nevertheless, it’ll bring smiles to some people. Although it’s tagged as “coming soon,” it wouldn’t surprise us to see it roll out before the end of the year. Resolved issue with contact ringtones. Updated local streaming playback mechanism when network connection is not available. Updated Twitter API for Peep/FriendStream. Clock app included in All App list. Got the update, downloading right now! getting rid of this phone was one of the smartest things i've ever done. Lol at how you made it seem as though ics was a possibility then just crushed their dreams. HTC...blah, i have a Rezound...& it is shall we say...unexciting. it's like if you've had one...you've had them all. 1.5 dual core is ok but man...so similar to what they have already put out there. i've given on HTC until they do something different from the ground up. so in other words, crap. Thats ok, come end of next year I think I will end up grabbing something real special. Love how people diss on a game changing phone that was a first of its' kind.